The Dworkin & Maciariello law firm specializes in workers' compensation, personal injury, and Social Security and disability claims. For workers compensation, a variety of outcomes are possible, including temporary total disability, permanent partial disability, permanent total disability, and survivor's benefits. This includes an employer hiring a vocational counselor for the injured employee should a doctor place the employee on permanent restriction. Personal injury cases are those that do not happen while at work or performing work duties, and can include car accidents, muggings, nursing home abuse, and dog or animal bites. Dworkin & Maciariello also assist individuals in applying for Social Security Disability benefits. Bradley S. Dworkin has spent his entire career pursuing the rights of injured workers in Workers' Compensation Law. 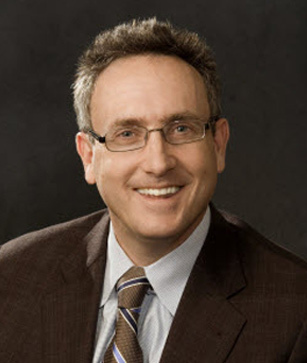 Mr. Dworkin graduated from Case Western Reserve Law School in 1990, and began his law firm in 1994. In 2014 and 2015, Mr. Dworkin was named a SUPER LAWYER in an issue of Chicago Magazine, an honor bestowed upon only the top 5% of Illinois Lawyers. He has been on the faculty at the National Business Institute and Lormans Education Services teaching workers compensation to other lawyers and professionals, and has also taught a workers' compensation class at a well-respected Chicago law school. Furthermore, he has written articles in newspapers, appeared on television, and spoken at union hall meetings throughout Illinois on workers' compensation rights, and has hosted the Illinois Work Injury hour on the radio. Among his many satisfied past clients, Mr. Dworkin has represented other lawyers when they have been hurt at work.